Google’s I/O conference in San Francisco has unveiled a host of new products for the company, including an ASUS-created Nexus 7 tablet and Android 4.1 Jelly Bean. Of course, the whole Android stratosphere is dependent on the quality of apps and content available, and Google is beefing up their Play store with some popular additions. During the keynote address today, Google revealed that there have been more than 20 billion installs of the 600,000 apps and games currently available in the Play store. In addition, applications can currently be bought in 132 countries with in-app purchases accounting for 50% of the store’s revenue. For the sake of comparison, Apple’s App Store boats a similar number of apps at 650,000 but has a total of 30 billion installs. 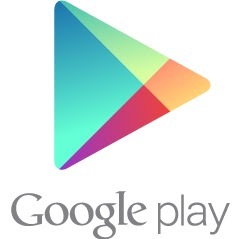 While Google’s app numbers are as good as ever, they aren’t standing pat with the media available from Google Play. Starting today, and thanks to partnerships with providers such as ABC, Disney and Paramount, the Play store will feature movies, TV shows and magazines for download and purchase. The company had previously added music and books last year, and the latest additions should further bridge the gap between them and the App Store.